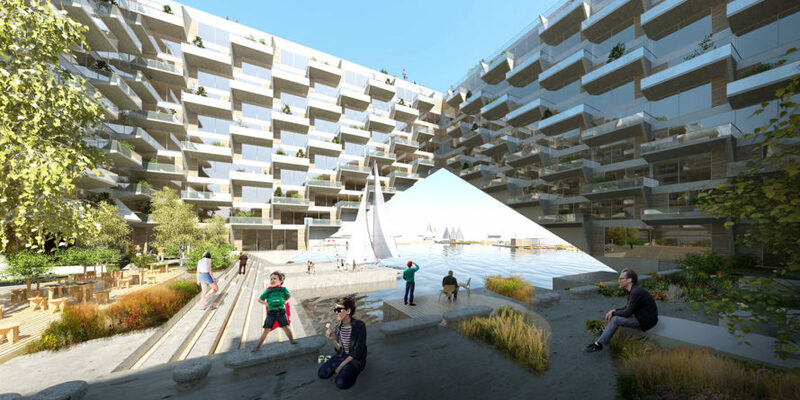 Just when you think green design has grown stagnant, Bjarke Ingels Group (BIG) comes around with a groundbreaking new scheme that turns architecture upside down. 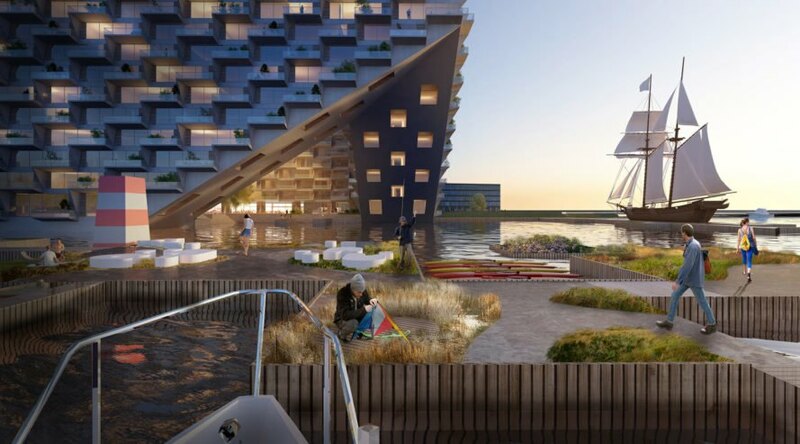 Excited to finally work in Amsterdam, BIG and Barcode Architects have unveiled their Sluishuis design, a floating mixed-use building that offers a variety of incredible amenities, including cascading green terraces, floating gardens, and 380 zero-energy apartments. BIG describes Sluishuis as a classical courtyard building that allows residents to totally embrace living on the water. The building is intended to become an iconic landmark, offering places to dwell, walk, and explore. In addition to the terraced main building, a promenade creates an archipelago of islands, according to BIG, that include floating gardens and a sailing school. 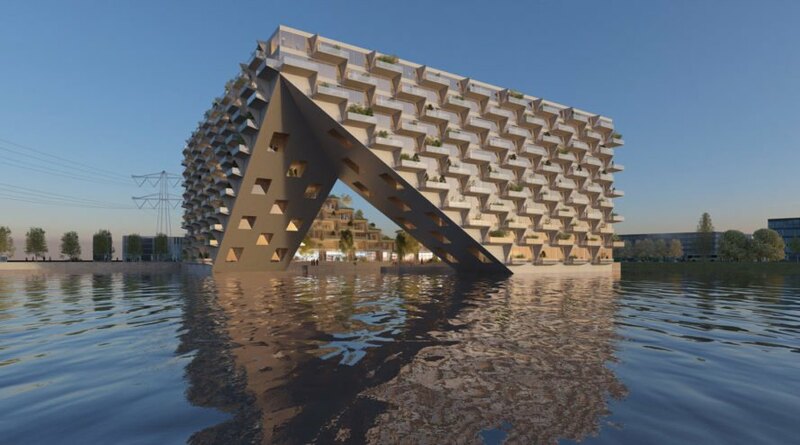 Sluishuis will be part of the emerging IJburg Steigereiland district in Amsterdam on IJ Lake. 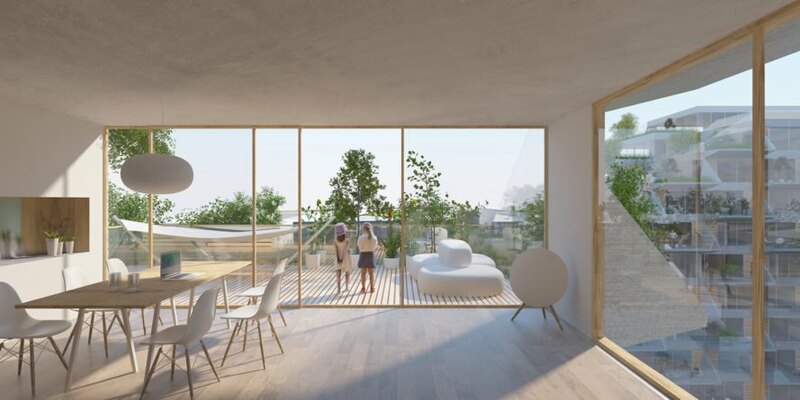 The winning design by BIG and Barcode Architects was selected from a pool of four finalists; construction companies VORM and BESIX will lead the project’s development. Collaborating with BIG and Barcode Architects on Sluishuis are Bosch Slabbers, ABT, Van Rossum, Buro Bouwfysica, and Klimaatgarant. We absolutely can not wait to see this design come alive. BIG describes Sluishuis as a classical courtyard building. 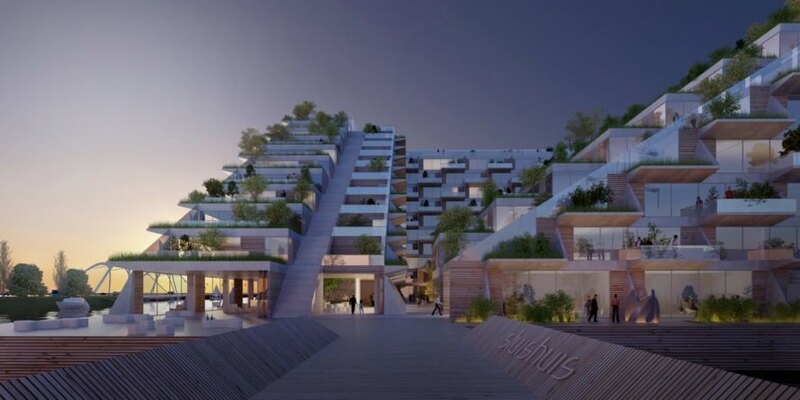 There will be places to live, walk, and explore on Sluishuis. The building is intended to become an iconic landmark. There will be floating gardens and a sailing school around Sluishuis. There will also be places to dock houseboats at Sluishuis. Residents will have incredible views of IJ Lake and the green building. BIG says the silhouette of the building will change as a person walks around it.